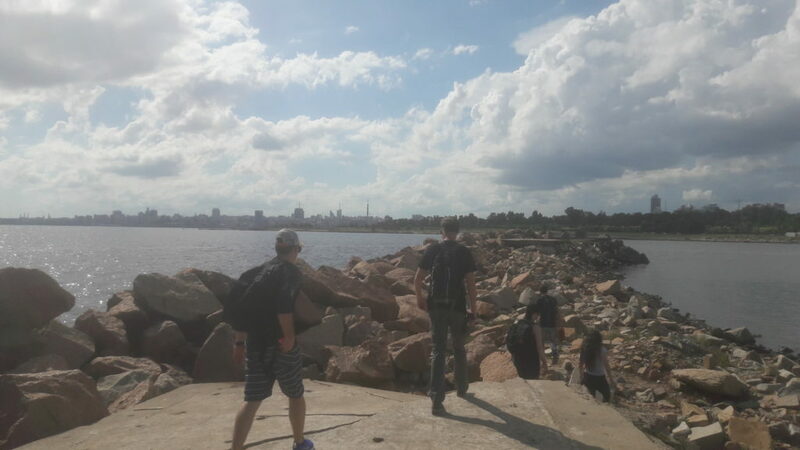 On Thursday the 7th of March the students of La Herradura visited Punta Carretas in Montevideo. This is a relatively isolated region and is essentially a long thing strip of land and a lighthouse, which stretches out towards the sea. We were driven there by our teacher Mathias and then walked the distance of the pier, clambering over rocks, until we got to its end point. From here we were able to see the ‘Pescadores’, fishermen, who come to this particular spot due to its tranquility and isolation from the rest of the city. We took in the peacefulness and beauty of this region before clambering back across the rocks to the local bar situated right next to the pier. 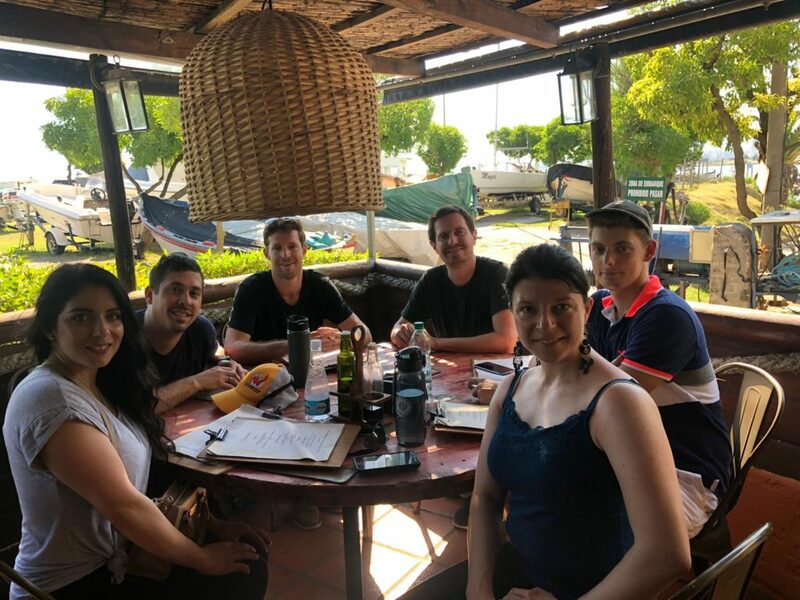 Once there we spent the remainder of the afternoon drinking and chatting before heading to another bar in the Pocitos area, situated right on the beach. We were enjoying our time in the bar at Pocitos chatting amongst ourselves and Mathias in Spanish when it suddenly started to rain heavily. This sudden storm was also accompanied by very strong gusts of wind so we all took shelter in the inside part of this makeshift beach-side bar until the rain calmed down. After this we reconvened at another bar later on before heading out to enjoy the night and make the most of the extended weekend. We went to Jackson bar which is usually a bit exclusive but because we arrived in good time we were able to make it in. 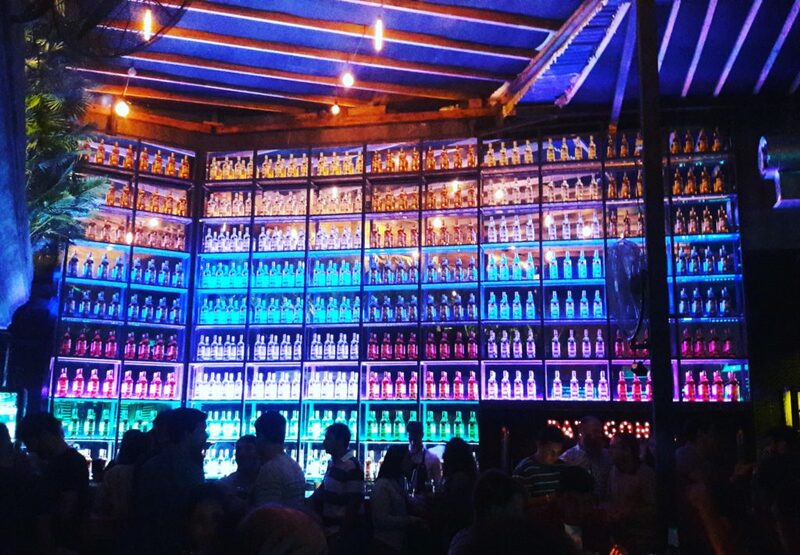 The decor in this bar is very impressive (see image below) and we spent the rest of our night here enjoying each other’s company. Overall, it was a very successful trip!